V:28 was founded by Kristoffer Oustad and Eddie Risdal the spring of 2002, and rised from the ashes of their previous band V:O:I:D. V:28 is a half-human half-machine band, with an apocalyptic and cold atmosphere to it. The concept of the band is based upon a prophecy about the deconstruction and transformation of Earth, thereof the V:28 - the voice of innovative deconstruction. The first V:28 demo "time is empty" was recorded in April 2002, and received very good critics in the metal press. In addition to this, V:28 played their debut concert as support for Enslaved in May 2002. Later the same year a drummer, Børre Iversen, joined forces with V:28. And a support concert for Red Harvest and Cadaver Inc, was played with this line-up in October 2002. But due to different interests in further developements V:28 split with the drummer, and returned to the use of programmed drums. 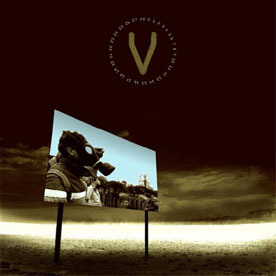 In June 2003 V:28 entered Subsonic Society Studios to record their debutalbum, "NonAnthropogenic", with LRZ, known from Red Harvest, as producer. 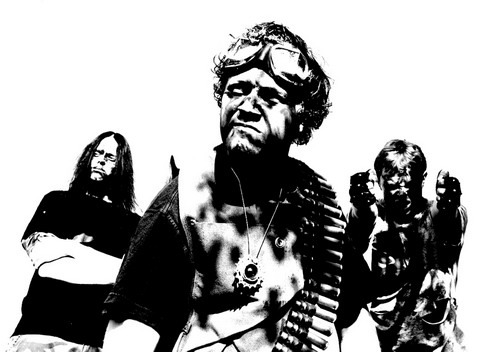 The album features a special appearance from Grutle Kjellson from Enslaved with vocals on two tracks. In September V:28 signed a contract with the American label Vendlus Records. The debut album "NonAnthropogenic" was released on Halloween 2003, October 31st. Atle Johansen was officially recruited as a fulltime bassplayer of V:28 in the end of 2003. He had been playing session bass with V:28 for a while and on some gigs, and it seemed right to expand to a trio. After the recording of the "NonAnthropogenic" album V:28 played at the Hole In The Sky metal festival 2003 in Bergen. 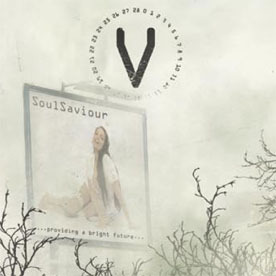 V:28 started to record their second album, entitled "SoulSaviour" in November 2004, and it was finished in January 2005. The recordings were done in Forbidden Frequencies, their own studio. As the job LRZ did on the first album was so amazing, V:28 asked him to produce and mix the "SoulSaviour" album as well. On this album V:28 worked with some other bands as well, such as the legendary industrial acts Deutsch Nepal and Raison D'Être and the norwegian cult band When. That was a great experience, and the result turned out amazing. Once again Vendlus Records was chosen to release the album. The release of the "SoulSaviour" album was marked with a release party, held in Arendal, Norway, May 20th. A show that turned out to be the best concert ever done by the band, thanks to the amazing fans. "SoulSaviour" was officially released on Tuesday May 24th.